Lorenza Christian is an urban farmer and has been affiliated with Knox, a community organization that advocates for urban farming in Hartford, CT for over three years. He is originally from Alabama but has resided in Hartford for over forty-five years. During the interview with Mr. Christian, he highlighted the fact that he comes from a family and a region of the south where farming is the norm, that farming is in his blood. He doesn’t look at urban farming as just some activity that he is interested in; urban farming is a part of who he is. What he likes most about gardening is being able to feed himself with his own produce. Mr. Christian became affiliated with Knox through their Hartford Blooms project and went on to complete an urban agricultural program under the partnership of Capitol Community College and Knox. He was one of two students to come into the incubation farm program at Knox, where he continues his urban agricultural activities. Knox is a community organization that offers positive development to a lot of people in the city of Hartford. Mr. Christian is one of those people whose food story has been positively impacted by Knox. Some examples of his productivity include the development of his business called CT Collards which focuses on a variety of leafy green vegetables, and the production of an awesome pepper jelly he makes from the peppers he cultivates. Nick Furlow is a sophomore at the University of Connecticut. He has lived in Hartford all his life. When he was in the tenth grade he joined Grow Hartford Youth Program. The youth program is one of many under the nonprofit Hartford Food System. Grow Hartford works to not only fight against social injustices but also to spread awareness of the issues themselves. Since graduating high school, and thereby the program, Nick has been a lot more conscious about the food injustice he faced in Hartford, particularly when he’s home instead of at school. 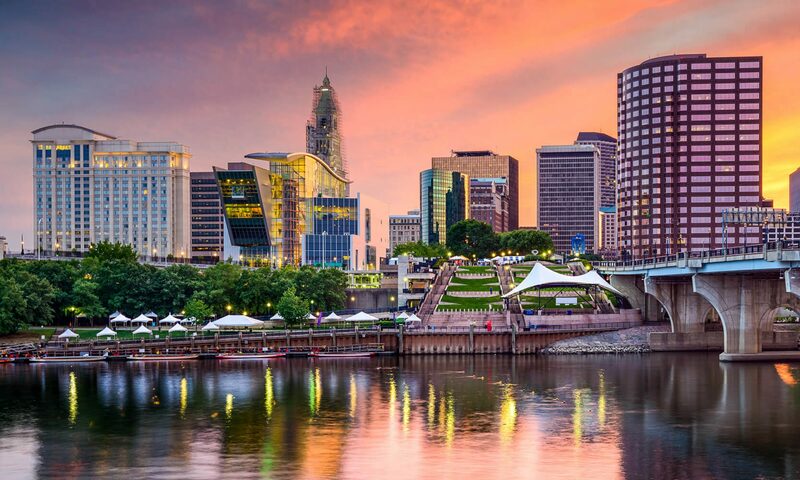 Hartford as a community is a difficult place to grow up in, food service professionals are amongst Hartford’s finest examples of passion and perseverance. Ray Cierto (assistant manager at D’Angelo) and Julio Canggio (chef and restaurant owner of Canggio’ s in Norwich) have embodied these traits and honed their talents into tools of a trade, and with that in their hands they have turned dead end jobs into successful careers and limited opportunities into stable employment that puts food on their tables, a roof over their heads and allow them to provide their children the opportunities they never had. Samuel Gonzalez is a food service worker for Chartwells at Trinity College. His food station, the SONO Station, is located in the Mather Dining Hall and is one of the most popular stations in the dining hall. He has been living in Hartford all his life and has been working with Chartwells for about fifteen years. This was Samuel’s first job after he finished high school. In his time working with the company, he has grown to love his job. Having the opportunity to work with his other cooks has allowed him to improve on the skills that he have been practicing for years, which in this case is making sure that the food is being served at the right temperature. Being able to work in an environment where both students and the Trinity community appreciate his work, puts a smile on Samuel’s face.